Looking forward to seeing you die/DI on stage soon! Please try to stay safe till we’re home! If I lived in Scotland, I’d be at Henry’s tomorrow night. Thanks, Neil. It’s shaping up that way! You write a very clever review…..I have a Marshal AS50D and I didn’t know it was “that good” until you told me “it was that good”! I’m looking for another acoustic amp that’s a bit lighter, but not too pricey. I jam & gig with three older gentlemen and I choose to leave my Marshall at the place we practice to avoid wear and tear on the equipment. I also protect it with a custom made amp cover. That means, when I practice at home, I don’t have a practice amp. 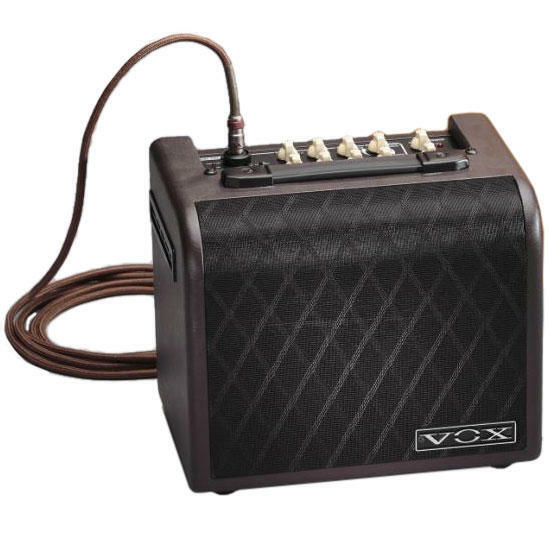 I noticed a Vox AGA30 for sale (used) and was wondering if it’s sufficient for my wants & needs and whether it’s worth the price ($200 Cdn). I think I’ll make an offer…. Thanks, Mike. I would say the AGA30 is ideal for home practice – it’s done for me for small gigs where I’m the only guitar player, but struggles in a noisier setting. Go for it, and let me know how you go!